True Value DryClean and Tailoring provides a combination of the most advanced and environmentally friendly techniques in fabric care with over 15 years industry experience we are the foremost experts in the Edmonton area. Every piece, even everyday items, go through our 10 stage quality assurance process starting with an evaluation of the fabric, a pre-wash inspection, grading and treatment and ending with a final hand inspection.We also pay particular attention to fine linens and cotton ware from table clothes to bathroom towels. Couture garments will benefit from our meticulous care and attention, supported by the most advanced technology available. All couture garments are carefully examined prior to being cleaned, fabrics are evaluated for serviceability and buttons or ornamental elements are protected before the cleaning process. All garments are meticulously finished by hand. Green DryClean brings its expertise and dedication to repairs and alterations whether rejuvenating a garment or perfecting its fit. Special attention is always given to maintaining and, if necessary, expertly reproducing the finished detail of the garment. We also offer full service coin operated Laundry service. We are 100 % committed to providing quality, personalized attention, customer service, and to your personal satisfaction. Whether you drop off your baskets for our fast and friendly Wash/Dry/Fold service or come in to do it yourself in our spacious and comfortable environment, we make laundry less of a chore and more of a quick, easy errand. And with our super-fast machines, you can be in and out in less than an hour. Our locations also have many amenities to help you pass your time, including TV and snack, pop and coffee machines. If you have something to wash that won’t fit in your dryer at home, if you’ve had an emergency and need something cleaned right now, or if your home units just don’t quite do the job – whatever your reason, choose True Value Laundromat! Garments are inspected upon drop-off/pick-up, where stains and repairs are noted before it arrives at cleaning facility. Garments are thoroughly inspected again, prepared for cleaning and evaluated for serviceability, and more. Performed by professionals with over 15 years of experience using proven traditional and advanced modern techniques. Dry-cleaning, laundering and hand cleaning procedures using the finest technology (State-of-the-art Italian made machinery), extensive classification and nly the purest solvents. Garments are inspected after cleaning process to ensure all noted stains and issues are resolved before going into our Finishing process. We use top of the line Japanese finishing equipment utilizing steam and tension methods that produce a wrinkle free finish while protecting your garments from damage caused by traditional ironing. Our Pressers will identify any minor repairs needed and will ensure to have the repair completed prior to the final stages of our process. All completely free of charge! Every garment is formally inspected in staggering detail to ensure that it is at its very best before being reunited with its owner. We seal the finished product in a protective barrier to ensure your garment's safe return to your wardrobe. 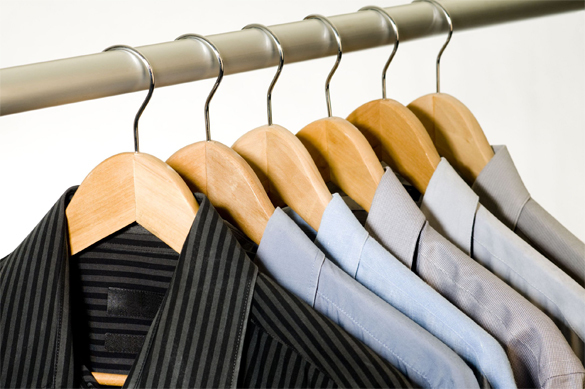 Plus, True Value Laundry is the hub for all your laundry and dry cleaning needs.